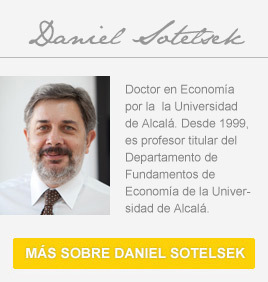 Esta entrada fue publicada en Repasando Economía, Temas de Economía y etiquetada Daniel, Daniel Sotelsek, Economía, microfinanzas por Daniel Sotelsek. Guarda enlace permanente. Interesting article. I would like to point out that, during a long period of time, financial inclusion was working great in Spain through mounts of piety firstly and saving banks later, which allowed the people without access to traditional banking to borrow cash or keep their savings in a safe place. It was during last 15-20 years when savings banks went through a terrible transformation becoming commercial banks, growing tremendously and unregulated. Víctor González Luengos. GAIA Program. October group. I find this article very interesting because it clearly explains the financial problems that have driven Spain to the actual deep crisis where it’s in. I really think that if financial inclusion is used properly, it would traduce in good results for a country’s economy. I agree that to achieve this is necessary that both parties, financial institutions and clients, act correctly otherwise the system would be unbalanced producing high indebtedness, as has happened in Spain. A clear example are the abusive home mortgages that many Spanish people have acquired. This problem comes from both sides. In first place, banks have offered mortgages to its clients without considering their economic situation, and in many cases with abusive conditions. On the other hand, the lack of financial education from clients have lead them to accept these conditions without considering the risks. Concerning this article, particularly in the Spanish case, I would like to talk about “financial education”. Nowadays we are hearing everyday news about people that must leave their houses because they can’t take care of the mortgage payment. However, as explains the article, at this moment in time, Spain is a rich country and we are not talking about microcredit, it regards important loans. So finally, families don’t pay their mortgages and banks have a great stock of houses which are decreasing more and more their value because nobody the demand is falling down. The question is: Who is the guilty of this enormous financial crisis? Maybe the lack of information or financial education of the families? Maybe the lack of control and the facilities given by the financial institutions for granting credits? From my point of view I would share the guilty in 50 % for each part. In one hand, families were living beyond their possibilities, “buying nice cars and new houses in front of the beach” which they couldn’t afford. Its means lack of saving and financial conscience. On the other hand, Banks, trying to make profit at any price, even tricking people into signing unaffordable credits. I hope everyone has learned its lesson and this experience will change the mentality of the people and it will be more banking control for not running again into the same problems. greets from a Gaia student in Gabon. Sotelsek Daniel, thank you very much for this very interesting blog. I think this blog is well suited to understand the current situation of the Spanish economy. “One of the conclusions of the forum was that financial inclusion is an important tool for developing countries with poor social situations. Indeed, there were numerous cases of success, where a small credit was instrumental in poverty out of whole populations . Nevertheless, it is necessary that financial inclusion is accompanied by education and regulation. otherwise, the opposite can happen to the benefits of inclusion, such as in Spain”. don’t miss that in Spain there weren’t a market for microcredits. Unfortunately, banks and “cajas” focused on consumer credits. Quite a different thing! Thanks for your comments, Javier. Have a happy new year! Good point Tanvi! financial inclusion means empowering people to run their own lives. Please share with us microfinance’s experiences in India. Thanks Daniel. I’d add financial inclusion is as much as social cohesion. Daniel Sotelsek, thank you very much for this very interesting article. It briefly describes the reality of what have happened in the financial sector. I agree that financial inclusion is a good tool for the economic development of the countries and people. I think financial education is a key element to the proper use of financial instruments in order to avoid risks that can lead to situations like the one currently undergoing Spain. Obviously there must be a regulatory element that controls all transactions carried out by financial institutions and which forces the application of good banking practices. I think the regulatory element, by protecting both the interests of the financial institutions and users can ensure stability and avoid risks in the financial market. Thanks for your comments. As you see these days, regulation does not always relate to the big fish!